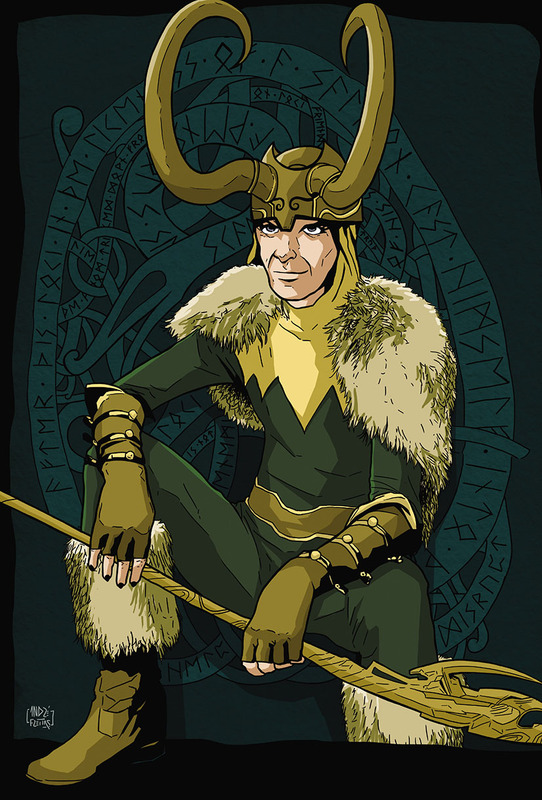 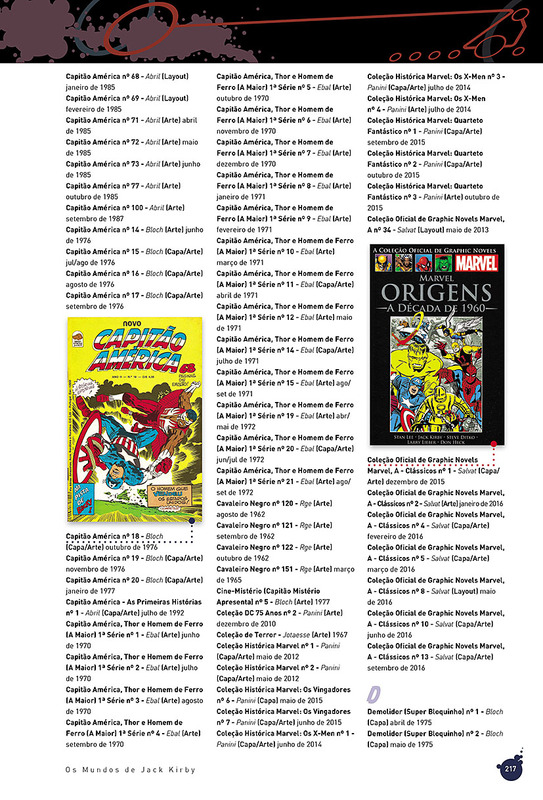 100 Brazilian artists pay homage to the King of Comics in a beautiful edition! 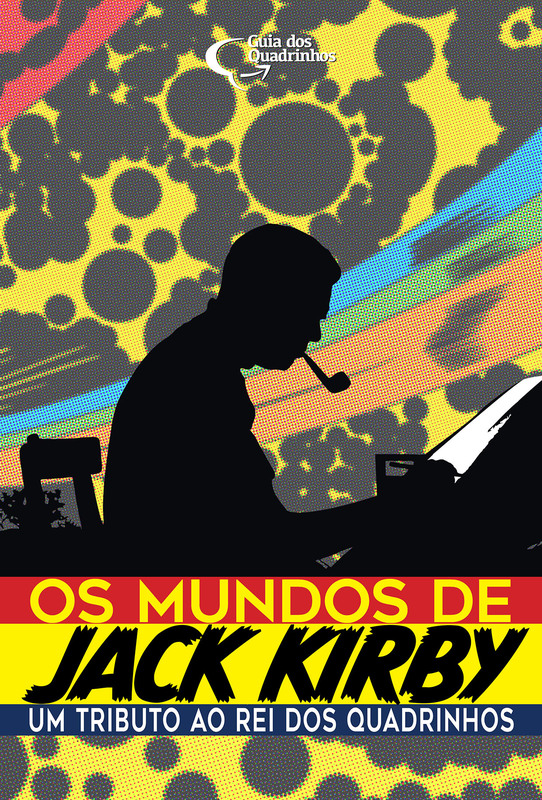 With his dynamic style, innovative concepts and an enviable imagination, Jack Kirby revolutionized the comics scene. 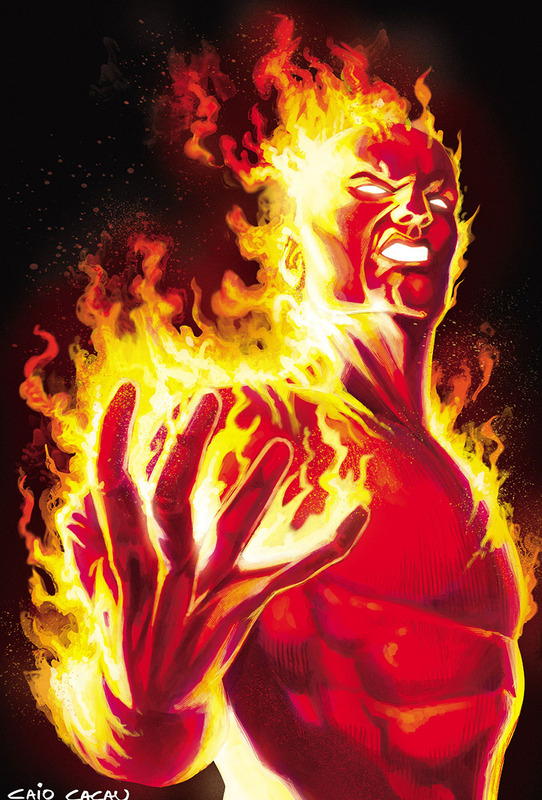 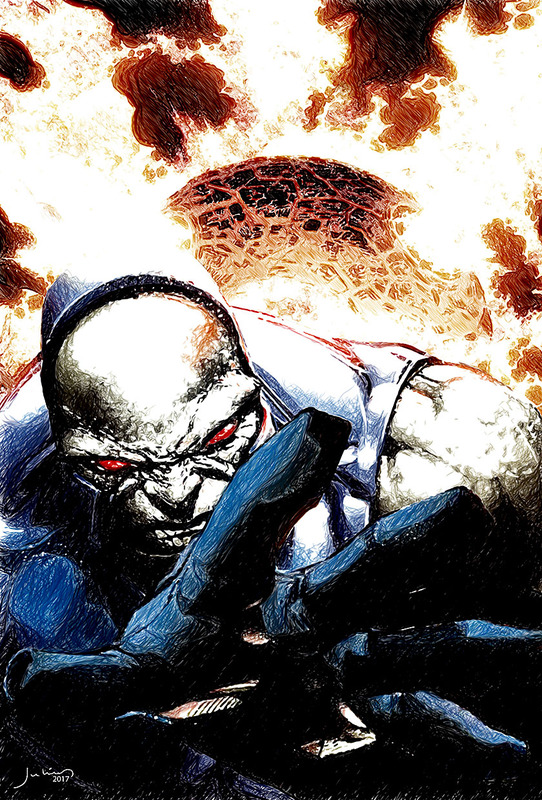 There has never been another artist like him in the field: penciller, inker, writer, editor and, above all, a conjurer of fantastic characters and worlds. 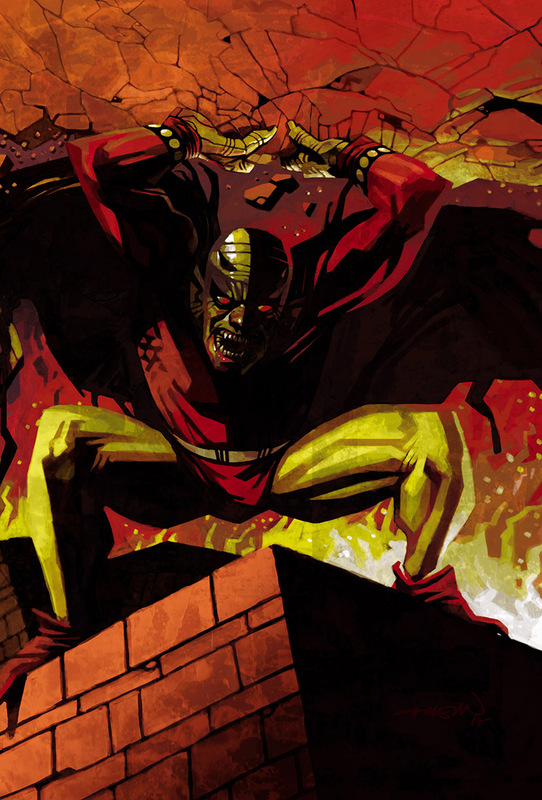 Among his creations we can list Captain America, Fantastic Four, X-Men, The Avengers, Silver Surfer, New Gods, Etrigan, OMAC, Inhumans, Kamandi, Eternals … and many others. 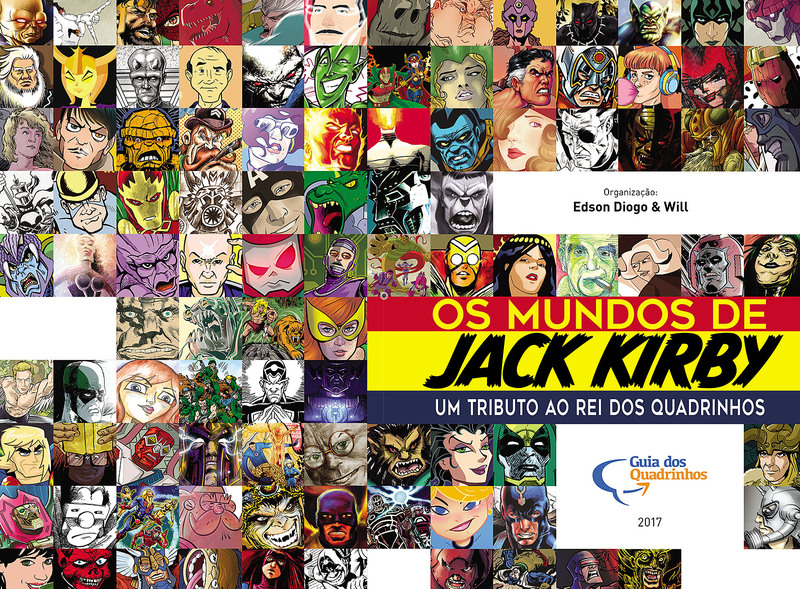 To pay tribute to his 100th birth, the GUIA DOS QUADRINHOS (a free virtual catalogue of every comic published in Brazil country since the 1900s) produced this luxurious tribute book in which 100 brazilian authors pay homage to the King by drawing many of the characters created by the master. 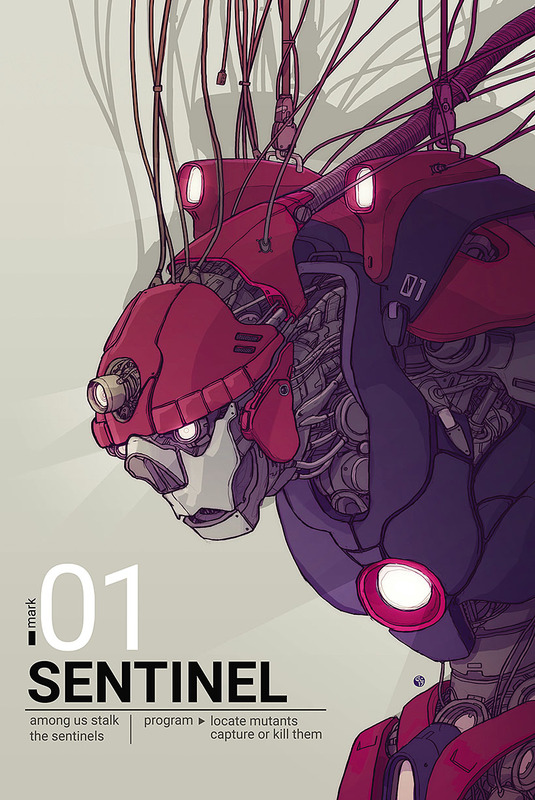 Gathered here are illustrators from the comic scene and from other millieu, in all the cases, with plenty experience and years of career, as well as young talents, all of them avid for showing their affection and recognition for the one who helped to pave the way that comics have trod in this world. 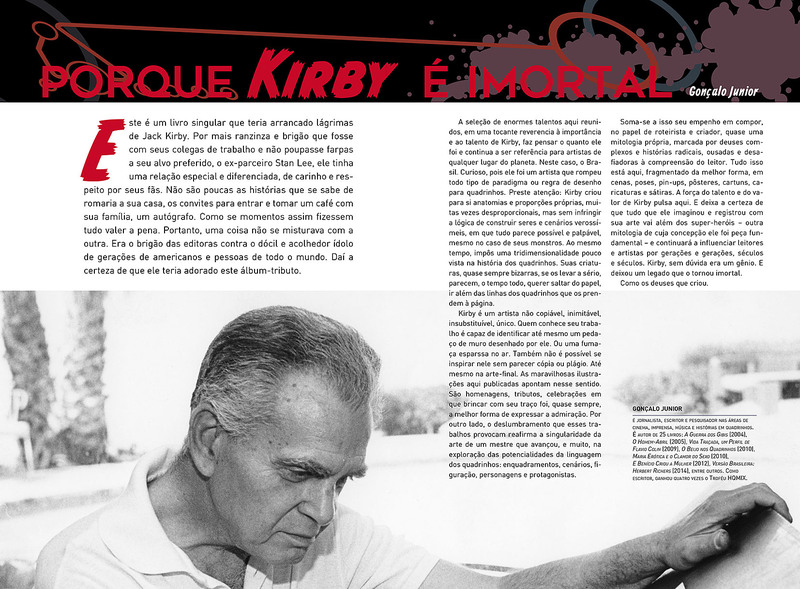 With a foreword by the writer and journalist Gonçalo Júnior (A guerra dos gibis), this Deluxe Edition — the first about the author published in Brazil — brings together interpretations of characters created by Kirby. 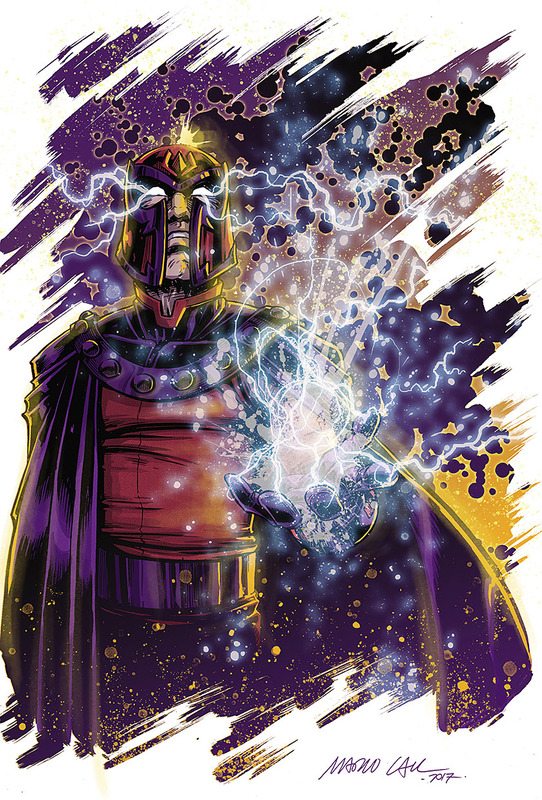 Each character gained a double page. 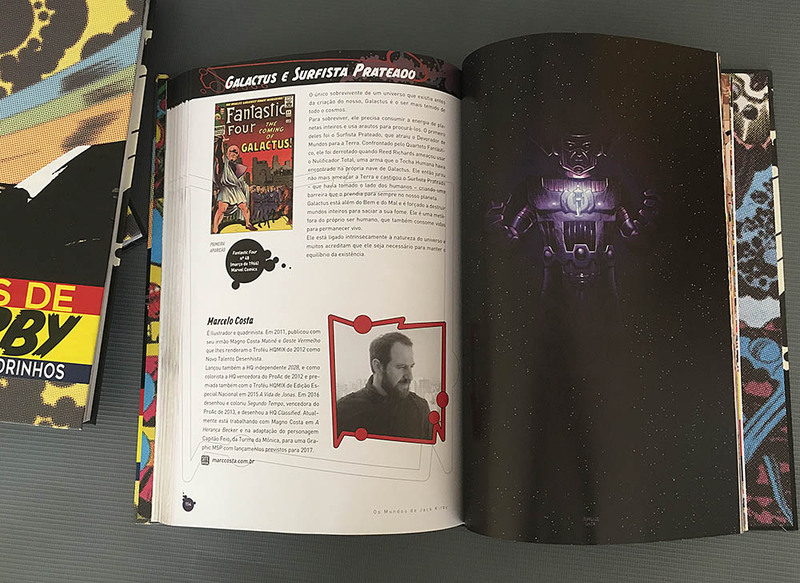 The left page brings information about the character and the cover of the publication in wich he/she made his/her first appearance, plus the photo and a brief biography of the artist who paid the homage. 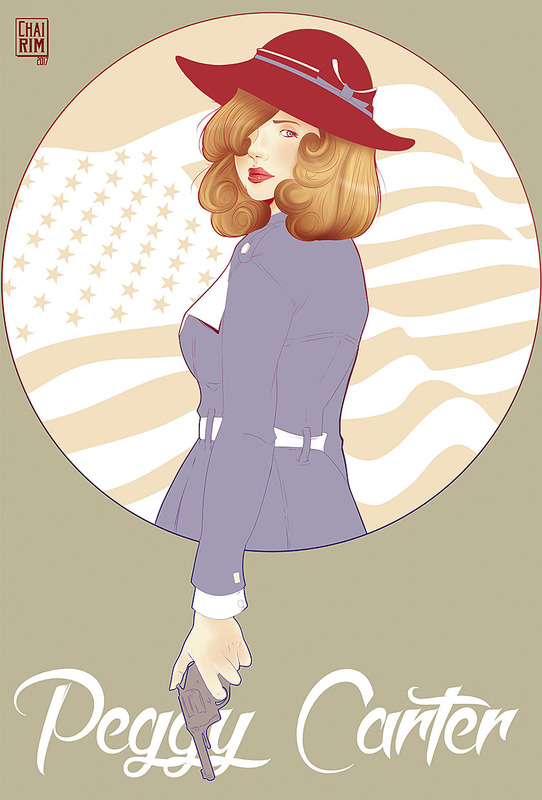 On the right page, at laste, the art of the character by the artist on the left. 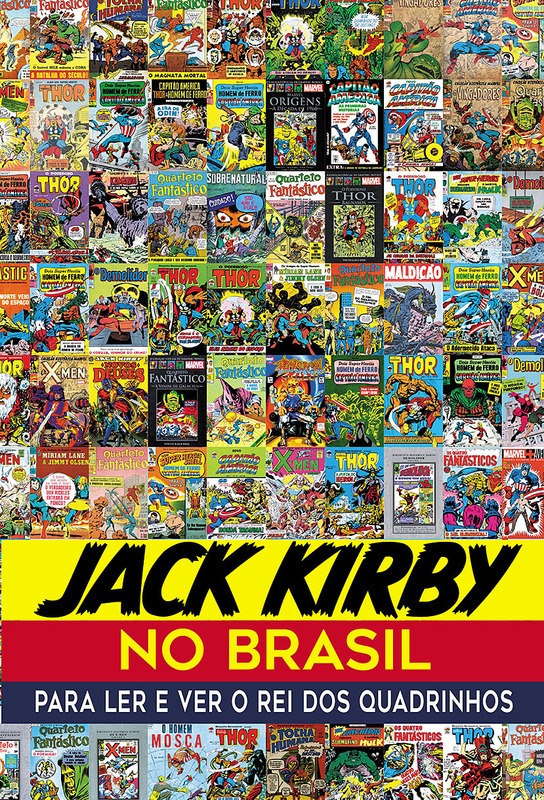 At the end of the book there is a comprising list of all Jack Kirby covers, stories and drawings published in Brazil to date.